Apply the stickers to the paper, then punch them out using the paper punch. Punch a small hole in the top using the regular hole puncher. Thread a piece of ribbon through the hole, and tie it onto the dalmatian toy to look like a collar. Done! So easy and so super adorable. To view all of my fire truck party products, click here! 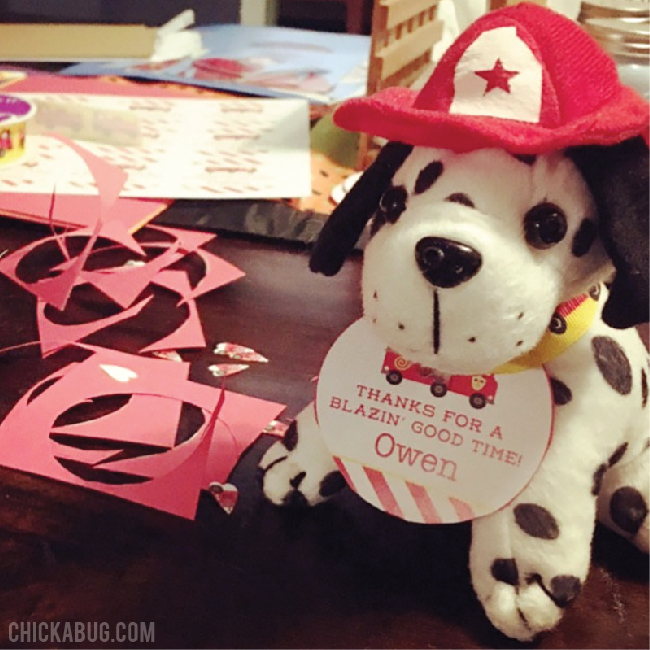 Shop for personalized fire truck theme party paper goods and printables here. Or, check out more fire truck party ideas on Pinterest or here on my blog!